Beautiful quilts, beautiful day you had… the sunlight is so very ‘shiny’ in your part of the world, Dianne! Makes for a good mood, don’t ou think? 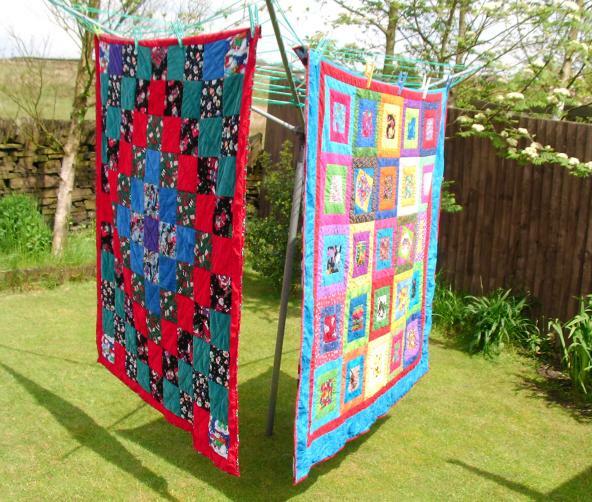 I love hanging wash out on the line, but your photo made me want to go hang out quilts as well! Your photo is so peaceful — its says, “All is right in the world.” Love the quilts!